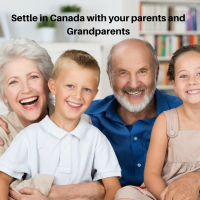 Immigrants who settled in Canada through permanent residency and Canadian citizens have desire to bring parents and grandparents to them. Immigration department of Canada is taking steps favorably for parents and grandparent program (PGP).It has released the form called 'Interest to Sponsor' online from January 3rd, 2017 and it stays for 30 days. By this program citizens of Canada and PR holders can sponsor to their parents and grandparents to immigrate them to the country as permanent residents of Canada, Candidates interested to sponsor have to apply for this program through online it is invitations accepting process. The sponsor can make the electronic sign and confirm the application. Apart from this sponsoring candidate will be not asked to provide any personal details like income, parent’s name. After which candidate will be allotted with the confirmation number which is an essential element in the process. By or after 30 days the IRCC will randomly pick the applicants who submitted their applications online, the confirmation gets notified to the sponsoring candidate through the mail, post to this process done have to provide all the required document in 90 days to move the process further. Applicants who are not got selected in 2017 can apply in 2018 same program.